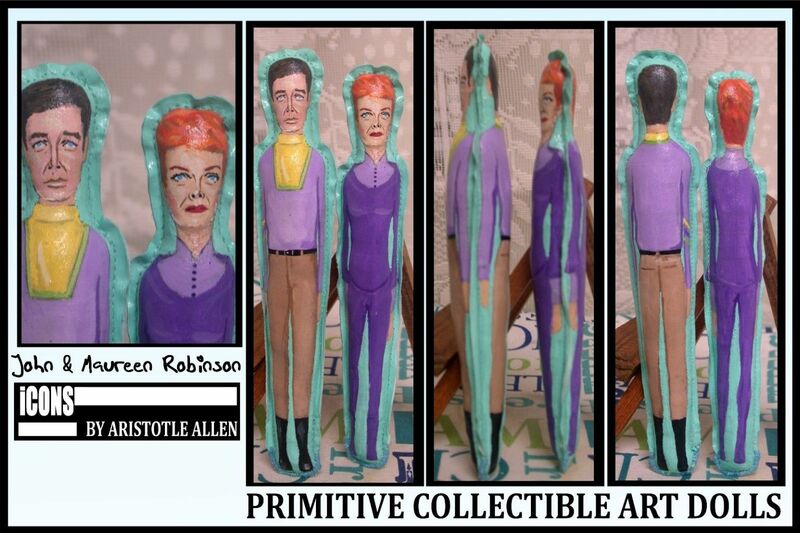 These primitive dolls is apart of the "iCONS" series by art designer Aristotle Allen. This piece is called "Robinsons." This is an original piece of artwork. This is not from silkscreen or duplication. These cloth dolls were hand painted using acrylic paints on fabric and stuffed with poly fill. 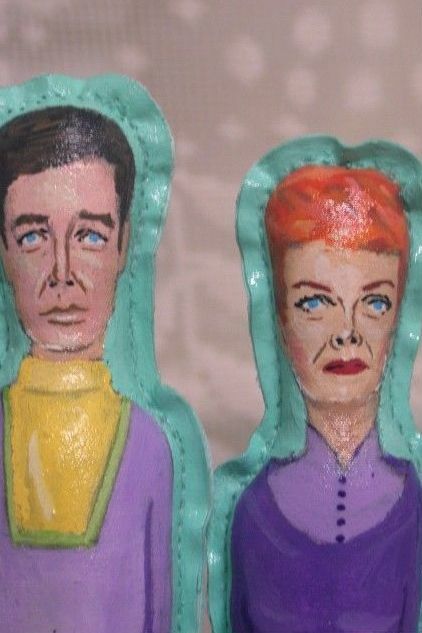 It depicts Professor John Robinson, and wife Maureen Robinson as they appeared in the tv series "Lost in Space". They stand average 6 inches tall and weights 1 ounce. The front and backs were machine-sewn. The dolls were hand-stitched closed on the bottom then overlaid with a clear coat of glazed sealant and signed by Aristotle Allen on the side.